A special thanks to all of you who contributed to the success of our program! Where you can view the bridges of Oregon and information about them. Oregon has the largest collection of covered bridges in the West and one of the largest in the nation. The covered-bridge-building tradition in Oregon dates from the 1850s. Out of necessity, pioneers built with the materials at hand. Douglas fir was abundant in western Oregon and well-suited to bridge construction. To increase their useful life, houses were constructed over the timber trusses to protect them from the damp western Oregon climate. The heyday of covered bridge building in Oregon occurred between 1905 and 1925 when there were an estimated 600 covered bridges in the state. By 1977, this number had dwindled to 56. This focuses on covered bridges designed or built for vehicular traffic. 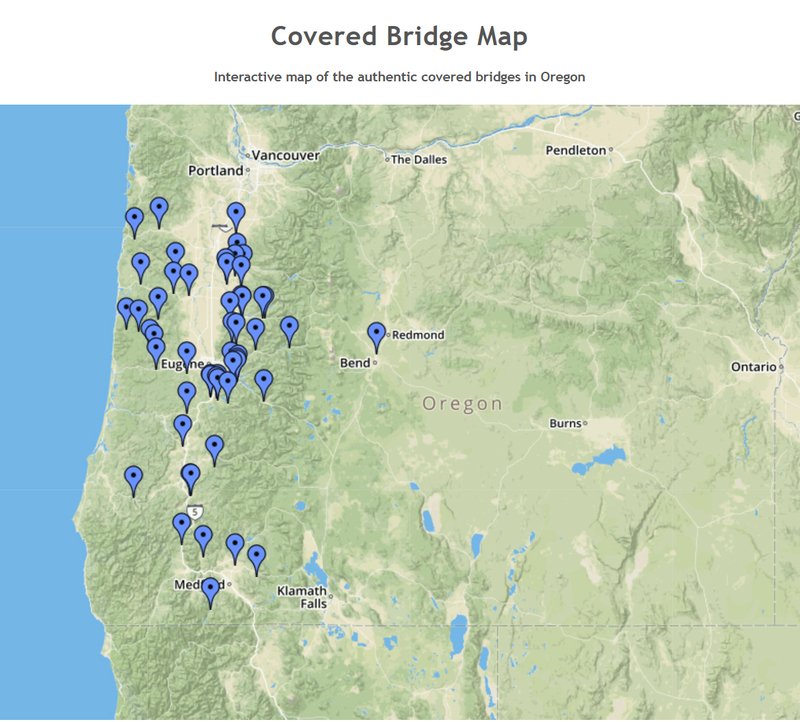 Based on this criteria, Oregon currently has 51 covered bridges.